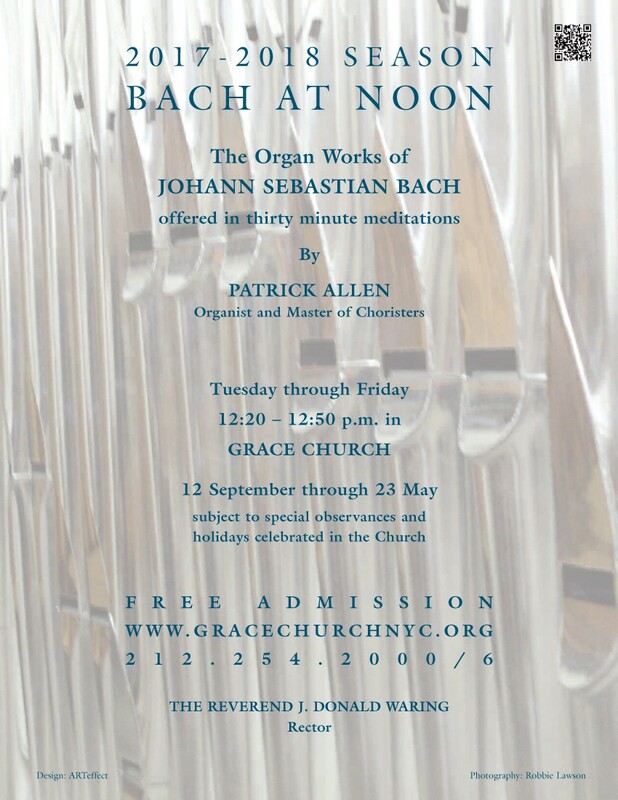 Grace Church Welcomes Stefan Donner to Bach at Noon Tuesday 15 May at 12:20 p.m.
Stefan Donner, as guest artist for Bach at Noon on Tuesday 15 May at 12:20 p.m.
honors) where he studied organ, piano and conducting. He also received his Master’s degree in organ performance from the Conservatorium van Amsterdam under Jacques van Oortmerssen. In addition to his studies, Stefan has participated in master classes with James David Christie, Hans Davidsson, Joris Verdin and Olivier Latry. 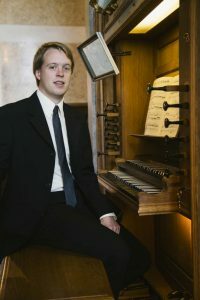 Stefan is the recipient of various awards including first place in the 2008 Daniel Herz Organ Competition (Italy), first place in the 2010 Franz Schmidt Organ Competition (Austria), and third prize in the prestigious 2011 Dublin International Organ Competition (Ireland). He received a 2014-15 Fulbright grant to study organ and harpsichord at the Eastman School of Music in Rochester, NY (USA) with Edoardo Bellotti. As a concert organist, Stefan has performed all over Europe, Turkey, Israel, in the United States and in Australia. 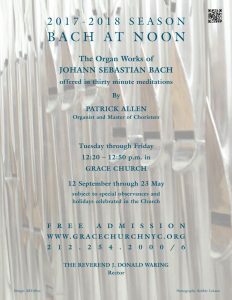 Beside his busy concert schedule Stefan is currently working as an organist at St. Peter’s Church in Vienna, Austria.